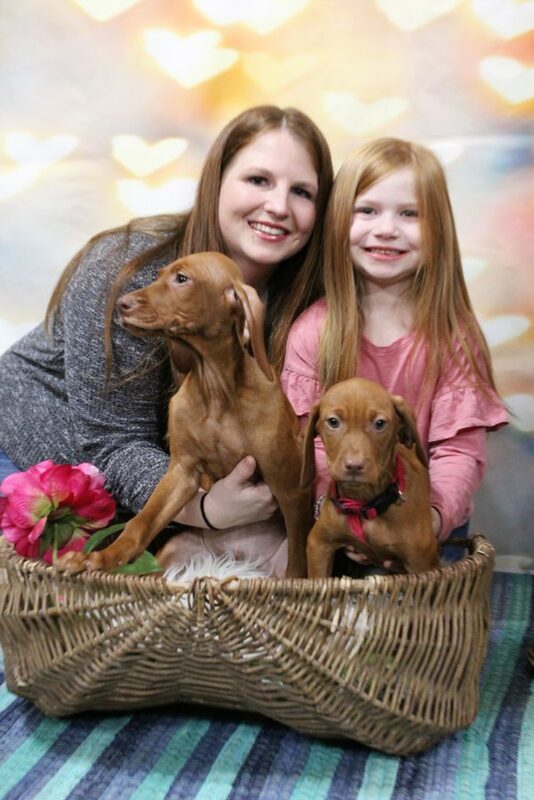 We currently are taking deposits for Vizsla puppies available from Stella and Maximum’s litter. 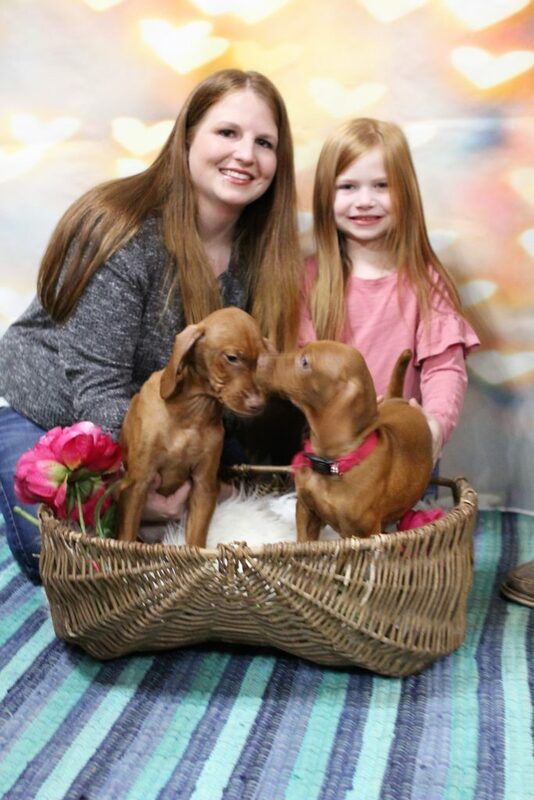 This is Stella and Maximum’s second litter of Vizsla puppies together. This litter is available in time for Valentines Day. 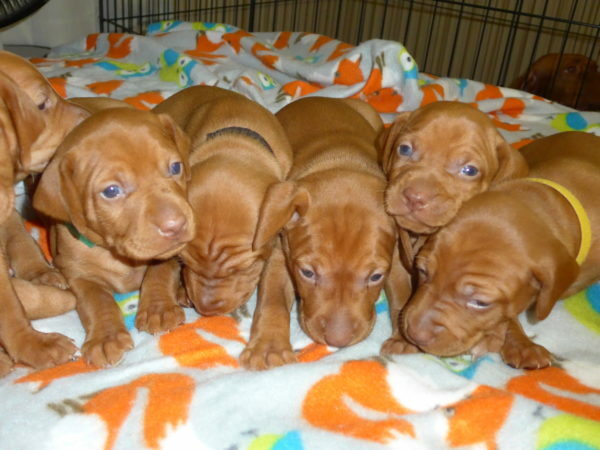 We at White River Kennels are blessed with this beautiful litter of 9 Vizsla puppies. Our Stella has a great temperament and disposition. Stella is a perfect Vizsla girl. 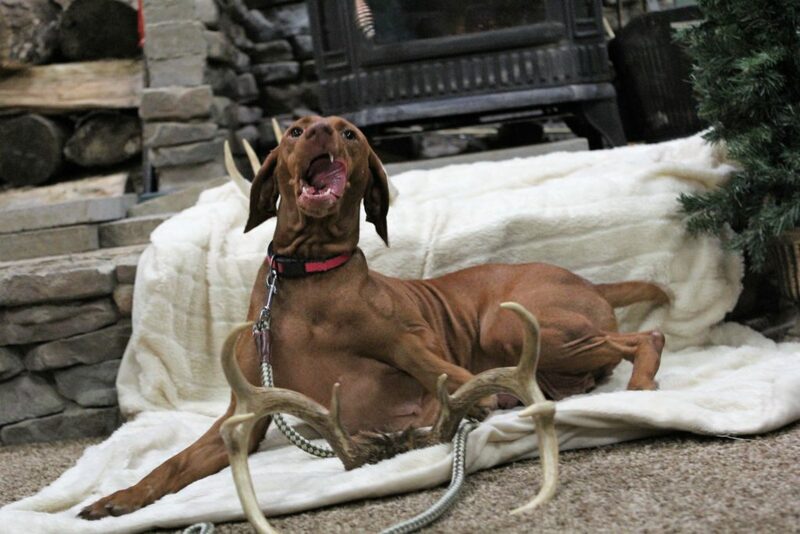 She has it all from the graceful look of the Vizsla breed to the amazing conformation. Stella gets along well with other dogs. She loves spending time with the family. Stella has great personality and confirmation. She and her puppies are doing great. The puppies are so cute and growing so fast. We are blessed to have her as part of our family. There has been over 45 years of hunting and competing bred into her genes and shows in her AKC pedigree. 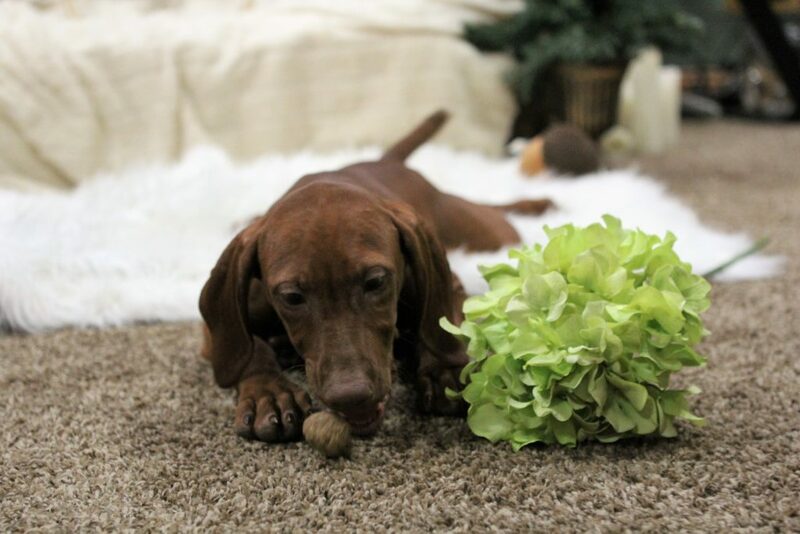 We are extremely proud of Stella and are expecting the same hunting and confirmation characteristics from her pups. The sire for this litter is Maximum. Max has AKC Championship Bloodlines, awesome conformation and lots of personality. His AKC pedigree has championship lines in both hunt and show. Max is a kindhearted guy who is sweet and playful. He loves attention and interaction with family members. Maximum is athletic and confident guy and is a joy to be around. We take lots of pictures, plus we have a weekly video showcasing the litter. All of our customers love the videos. They allow you to get to know each pup and see their differences. This really helps when you choose your new family member on week 9. The videos are a great way to get to watch the puppies as they grow. You and your family will get to see the whole wonderful process as our babies grow from day one up until they go home with you. The puppies are available to go home anytime. To schedule a appointment to come see this litter please give Terry a call at 812-709-1839. All pups will have been dewormed several times and up to date on their vaccinations. The tails will be docked and dew claws removed properly by our certified Veterinarian. Please call 812-709-1839 to schedule a appointment.